Mahindra & Mahindra Ltd. has a long history of building 4x4s and utility vehicles since 1947. Over the years, our vehicles have made a reputation for being tough, rugged and reliable. Mahindra Adventure is a unique experiential marketing unit of Mahindra & Mahindra Ltd. It started with our first off-road outing in 1996 when we started with a couple of events a year. With the inception of Mahindra Adventure in 2011, we truly began perfecting the art of getting lost. Since then every year, we’ve been giving people trips of a lifetime, be it the single-day off-road adventure – Great Escape or the multi-day expeditions to the most beautiful places in India and abroad. We pioneered “the arrive and drive” concept and to help us bring you the Mahindra experience, we maintain a fleet of over 100 vehicles stationed all over the country. With over 7 expeditions spanning the length and breadth of the country, there’s no driving holiday worth its salt that we haven’t covered. There’s something for everyone! Mahindra Adventure runs a factory rally team where we rally the Super XUV5OOs at the Indian National Rally Championship and other cross-country rallys. Our champion driver navigator team of Gaurav Gill, Musa Sherif and Amittrajit Ghosh and Ashwin Naik have dominated the rallying scene in India. We are the reigning champions of INRC with one win away from a hat-trick at the winning chart. The Super XUV5OO has furthermore won and dominated events like the Desert Storm and Dakshin Dare. Mahindra Adventure, in 2012 inaugurated India’s first and only dedicated Off-Road Training Academy to train people in off-road driving. Located in the lush hills of Igatpuri, Maharashtra, the Mahindra Adventure Off-Road Training Academy offers people a chance to get down and dirty and learn off-road driving from the experts. With a fleet of Mahindra Thar training vehicles at your disposal, the 30-acre off-road facility is an off-road enthusiast's delight. We’ve now just opened doors to our second Off-Road Training Academy located in Mangalore. 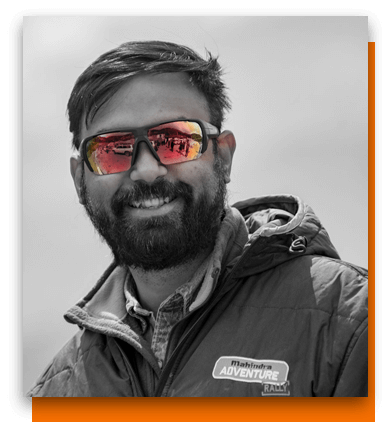 Bijoy heads the Adventure Division. An ex-motoring journalist and founder of Business Standard Motoring magazine, Bijoy has tested and written about almost every car worth driving. As a motoring journalist, Bijoy has travelled the world and is a man full of stories. 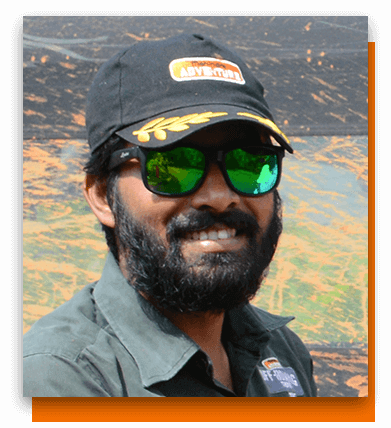 Upon joining the Mahindra family, Bijoy was entrusted to take the newly formed Adventure division to new heights in 2011. He’s masterminded some epic drives and concepts which have turned into mega properties over the years – be it the expeditions or the rally team. With him at the helm, Adventure continues to push boundaries and give you an experience of a lifetime every time you hit the road with us. Vinod Nookala is a passionate off-roader who has been with Mahindra Adventure since the very beginning. He was the brand manager for the Mahindra Thar and was responsible for the launch of this iconic brand. 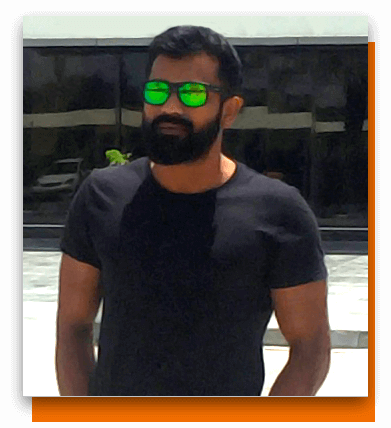 Now full time with Adventure, Vinod is a man on a mission and second in command. 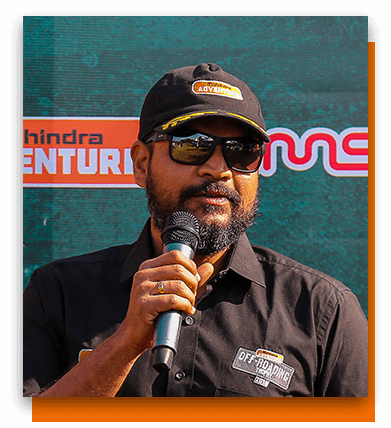 He overlooks the operations of Mahindra Adventure and is directly involved with the Great Escapes, Off-Roading Trophy and Expeditions. Manish Sarser is also an ex-motoring journalist and an avid off-roader. 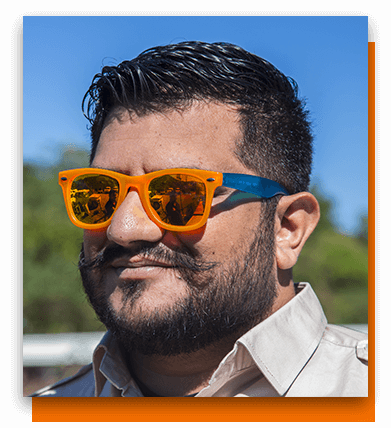 With years of driving and off-road experience under his belt, Manish now teaches people how to have fun going slow. He heads the Mahindra Adventure Off-Road Training Academies. Apart from the driver training programmes, he also operates mountain expeditions and special events like the Club Challenge and Off-Roading Trophy. Amit Nilak is a veteran of Mahindra. In the early part of his career, Amit worked in the Mahindra Scorpio assembly plant in Nasik. 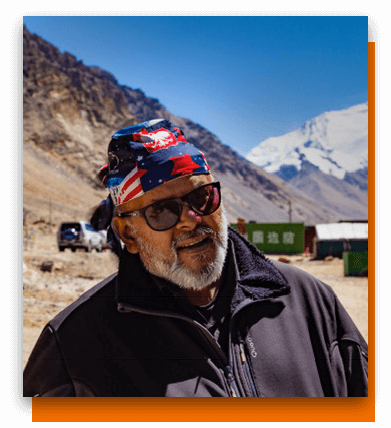 His passion for travel brought him to Mahindra Adventure. He now is an expert on our international expeditions and runs the championship winning rally team of Mahindra Adventure. Selvin is one of the latest joinees at Mahindra Adventure. An ex-winner of the media off-roading trophy rounds, Selvin assists Manish in the operations at the Off-Road Academies. Being a petrolhead at heart, he has participated in many autocross events and may be one day he will pilot the Super XUV. Ryan is new at Mahindra Adventure. Though only a year old, he is a quick learner and an enthusiastic traveller, he’s currently learning ropes of Great Escapes, Expeditions and plays an active role in leading Camp-outs.